Wisconsin Union Association Trustee David Cross, in many ways, grew up at the Wisconsin Union’s Memorial Union. From summers spent in a residential community along the Lake Mendota shoreline, called the Tent Colony, to Sunday afternoons at the Memorial Union Terrace, David’s ever-growing love for the Union carries on today through his work as a trustee. David’s fondest memories of the Union come from his childhood summers spent living in the Tent Colony. From 1912 until 1962, married students and their families could camp along the Lake Mendota shore during the summer in an area called the Tent Colony. At its largest, the Colony had 200 residents. David, along with his brothers and sisters, spent many days exploring the shoreline and countless unsupervised Sundays at the Memorial Union, hanging out in the Paul Bunyan Room. After spending a day adventuring, David would sit down outside on the Terrace to watch silent films. Graduating from UW-Madison in ’76 with a degree in economics, David’s college experiences included game days spent performing in the UW Marching Band, learning how to sail with the Hoofer Sailing Club, and spending summer Sundays completing the New York Times crossword puzzle with friends on the Terrace. David in his red Terrace chair at his home. “The Terrace of course is wonderful, but the Paul Bunyan Room is really unique and adorable,” David said. Memories of the room’s iconic murals of Babe the Blue Ox and Paul Bunyan have stayed with him, even after graduating and after moving to New York to work as a lawyer. After spending a few years away from his home state, David convinced his wife, to move to Milwaukee where they grew their family with two sets of twins! 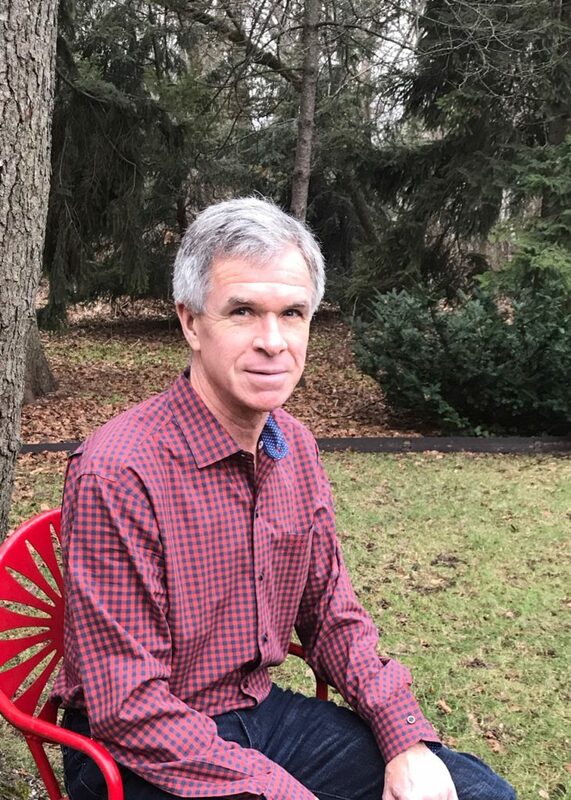 While working in Milwaukee, Jeff Bartell, a partner in his firm who is a Wisconsin Union Association trustee, approached David about becoming an Association trustee. Jeff saw the opportunity to add a trustee who was enthusiastic about play at the Union and using it for its intended purpose; fun. “The diverse group comes together for one common goal and actively gets things done; it’s great to see,” he said. As a member of the Association’s Membership Committee, David wants Union members to know that their membership fees go to good use and to encourage members to take full advantage of the amenities and benefits Union membership offers. To learn more about the Wisconsin Union Association and the work of incredible trustees, like David Cross, visit union.wisc.edu/wisconsin-union-association. Brooke is majoring in journalism and strategic communication with the hope of entering the corporate communications field after graduation. In her spare time, she likes to read, listen to music and hang out at the Terrace!